Cycling, in all forms, has always been my preferred method of exercise. 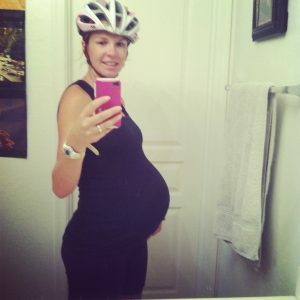 That’s why, when I discovered I was pregnant, I continued to bike throughout my pregnancy. In fact, I went into labor on a Friday and I went for my last road ride on Wednesday. Continuing to bike wasn’t just important for my mental health, it was also important for my physical wellbeing. In recent years there has been lots of research showing how beneficial exercise is during pregnancy. According to the American Pregnancy Association, continued exercise can help alleviate many common pregnancy ailments (constipation, swelling, and leg cramps), as well as limiting pregnancy weight gain and better preparing the body for labor and childbirth. That said, cycling as a form of exercise during pregnancy is controversial. There is limited research on the topic, plus there is always the risk of falling. 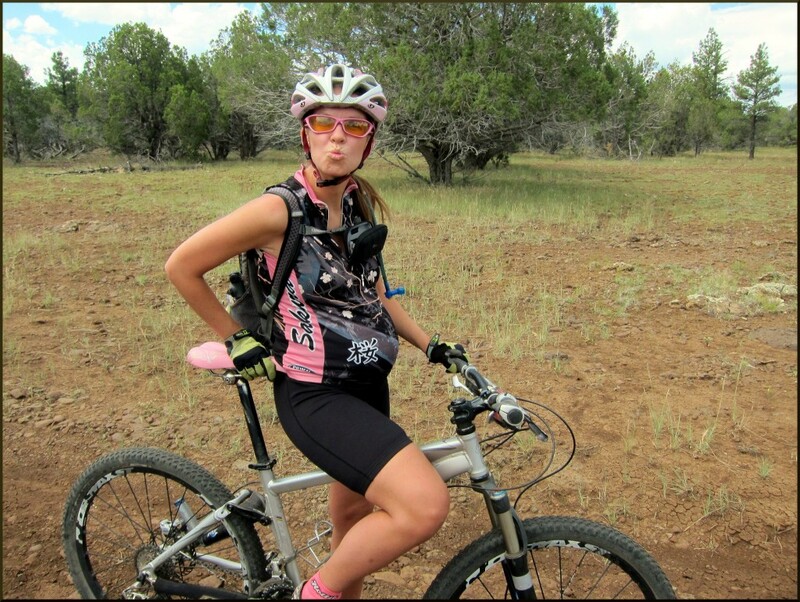 If you do choose to continue biking, there are some special precautions you should take. Here are our tips and advice for cycling during pregnancy. Please note: I am not a doctor. Please consult with your physician before undertaking any kind of physical activity during pregnancy. Much of what you’re able to do during pregnancy is based on what you were doing before getting pregnant. Women riding mountain bikes at an advanced level may be able to continue mountain biking during pregnancy, whereas beginners should probably stick to paved paths. Ladies who regularly did 50 mile road rides on a Saturday might continue doing 20 mile rides while pregnant, while newbies to riding might be hard-pressed to do 5. You know best what you’re capable of and what is safe for you. This is not the time to “train,” to improve your speed, or to increase your endurance. When I was pregnant, my midwife advised me to keep my heart rate below 150 beats per minute. After further research, it seems most doctors have forgone the heart rate advice because an appropriate heart rate varies based upon how fit the woman was prior to getting pregnant. A better gauge of appropriate intensity is how heavily you are breathing. Rides should be done at a comfortable pace and you should be able to talk normally throughout. When you start getting tired, call it a day. Your body is doing a lot of extra work growing a baby and there is no shame in cutting your ride short. 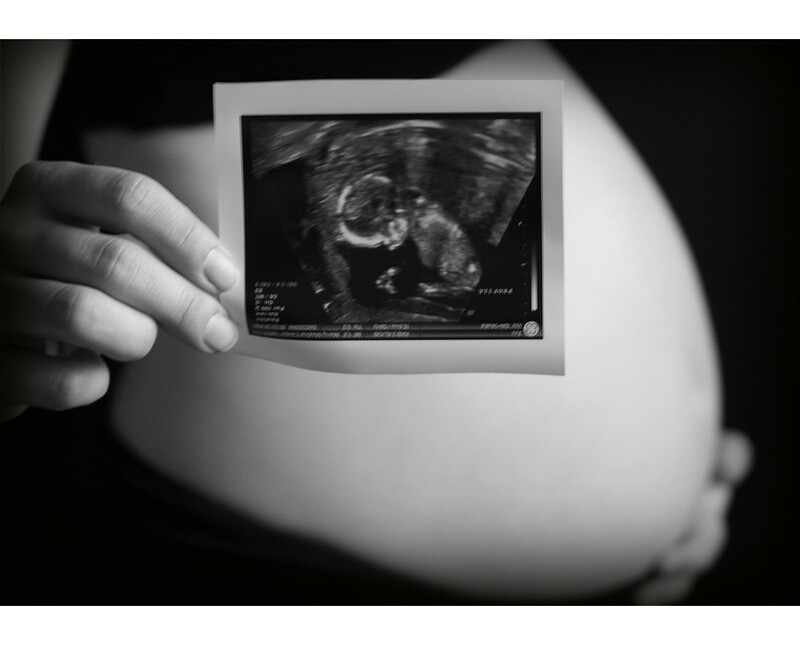 After the first trimester, you will start to lose some balance. This leads some to advise staying off the bike due to fall risk. Because I was so comfortable on a bike, I personally chose to continue to ride make throughout pregnancy and never had a fall. If the risk is too high for you, move your bike to a trainer or join a spin class at the gym. Once your regular bike clothes start getting a bit tight, switch over to maternity-specific ones. I loved the Terry Maternity short when I was pregnant. (In fact, I still wear them on days when I’ve had a bit too much to eat). Unfortunately, it looks like they don’t make them anymore, but you can find other options in my Guide to Maternity Cycling Clothes. A few modifications to your bike may also add to both your comfort and safety. If your belly has become big enough that it is hard to lean over, consider switching to a mountain bike or commuter bike. Switching from clipless to flat pedals is another change you may want to make if it makes you feel safer. For me personally, I continued riding my road bike with clipless pedals right up until the end, but my belly never got that big either. Sadly, the most dangerous part of riding a bike is riding a bike around cars. While this is a risk I’m willing to take normally, when pregnant I was extra careful about avoiding high-traffic areas. 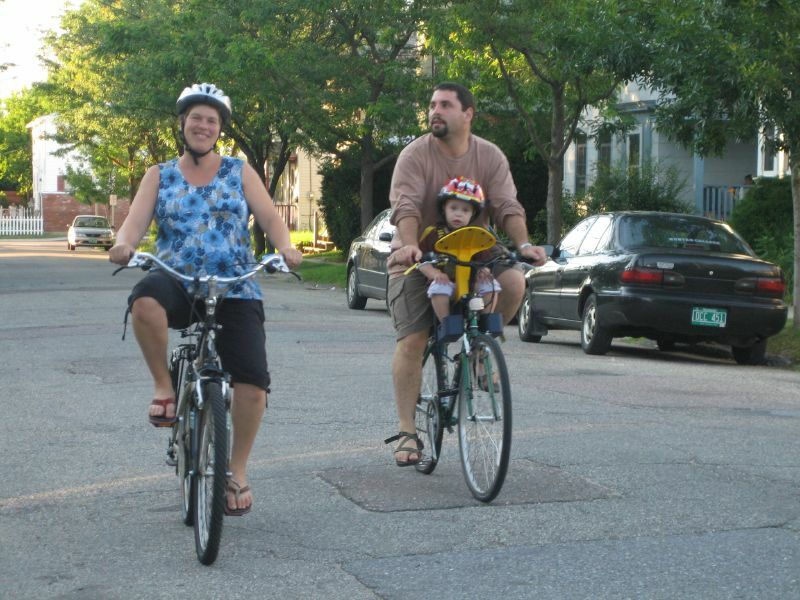 If possible, stick to bike paths and low traffic roads with wide or protected bike lanes. Another thing to take into consideration is the weather and road conditions. If the roads are slick due to snow, ice, or wet leaves, it may be best to stay off your bike. As always, remember basic safety tips like riding with lights, carrying a fix kit, and following traffic laws. Toward the end of my pregnancy, I made sure to always ride with a partner as an added precaution. Having a riding partner with you isn’t just good for safety—it can also be nice to have someone give you a little boost up the hills. If you do choose to go out by yourself, make sure to ride with a cell phone and ID. It can be tough to stay well hydrated during pregnancy, but it is super important for your health and the baby’s safety. Make sure to take plenty of water with you, and/or have a plan for places to refill along the way. You need more water during pregnancy than normal, so keep that in mind when biking and pack an extra bottle. I was pregnant during the middle of the Phoenix summer. While most pregnant ladies probably aren’t trying to exercise in extreme temperatures, pregnancy does keep your body a little toastier than normal. An ice pack in your back pocket or a wet handkerchief around the neck can help keep your body temperature down. A frozen water bottle can also help on hot days. Avoiding overheating is particularly important during the first trimester, so keep that in mind. Not only is it possible to continue biking thru your pregnancy, it is also important for your health and your baby’s health to get plenty of exercise during this time. The key is to scale it back and take a few additional precautions while pregnant.